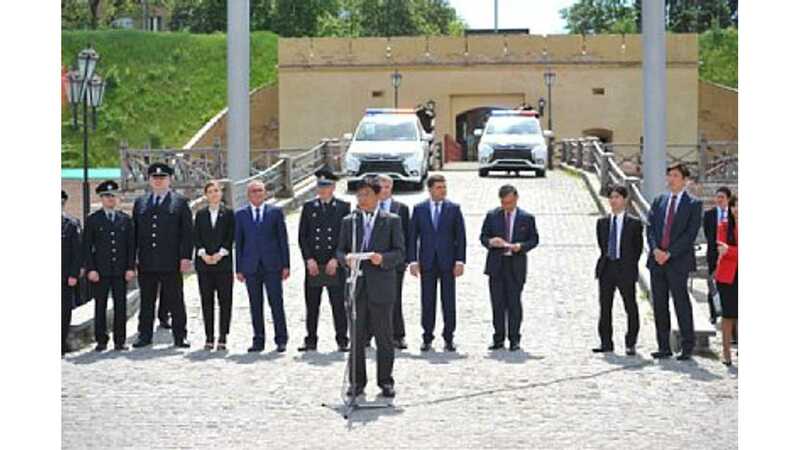 Mitsubishi Motors Delivers 635 Outlander PHEVs to Ukranian Police...Are there spectators in front of them? Who knows. 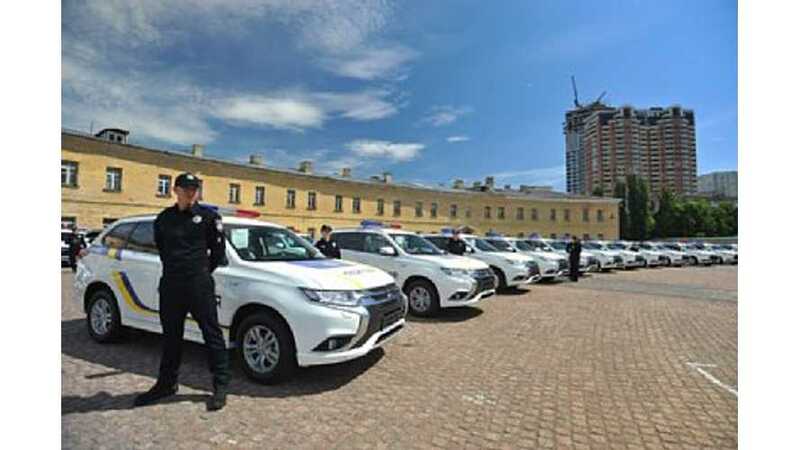 Mitsubishi Motors has finally delivered their largest fleet plug-in order ever last month, with some 635 Outlander PHEVs now in the hands Ukranian Police. In Europe, Mitsubishi has sold 80,768 Outlander PHEVs through the end of 2016, and more than 5,000 in the first quarter of this year. It's still the best selling plug-in hybrid in Europe, and has ranked as the best-selling for four years in a row. "The vehicle order stems from an emissions trading agreement signed by a number of Japanese companies with the Government of Ukraine. 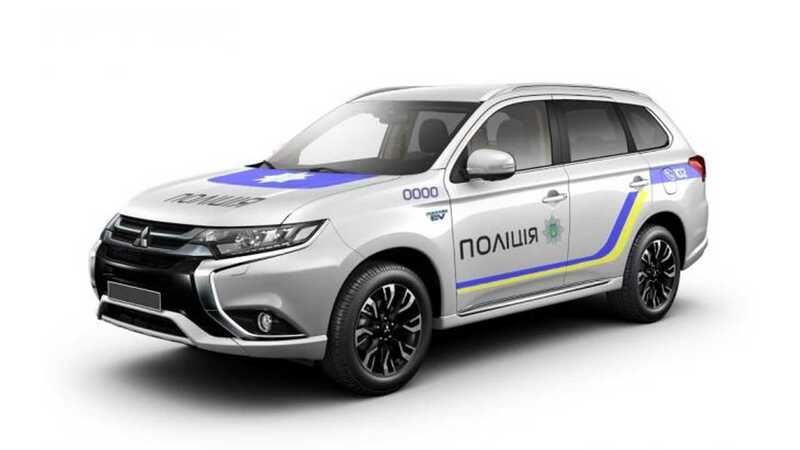 As part of its policy to reduce CO2 and greenhouse warming gases using the Kyoto Protocol Green Investment Scheme*2, the Ukrainian government will use the Outlander PHEVs as police vehicles." "This marks the second time MMC has supplied vehicles under the Green Investment Scheme, the first being to deliver 507 units of the i‐MiEV all-electric model to the Government of Estonia that began in October 2011." "I would like to thank the Ukrainian government for evaluating our Outlander PHEV highly and deciding that it is the right option for the country's police force. The Mitsubishi Outlander PHEV is not only environmental-friendly but also contains our latest technologies such as our advanced 4 wheel drive system "Super All-Wheel Control", which makes it highly suitable for police use."